Revolutionary techniques to extract crude from rocks have already put America on track to overtake Saudi output by 2017. Now an extra 16 bln barrels are potentially within reach in residual oil zones. These water-flooded wells promise to keep the domestic output momentum going. An oil rig is silhouetted against the sunset in St. Lawrence, Texas May 9, 2008. A report by the International Energy Agency on Nov. 17 predicted the United States would overtake Saudi Arabia and Russia to be the world’s top oil producer by 2017. The agency also believes North America could become a net energy exporter by 2035. There may be around 16 billion barrels of recoverable oil from water-flooded wells, equivalent to about eight years of 2011 U.S. oil production, according to research from the U.S. Department of Energy. The IHS Cambridge Energy Research Association says oil trapped in so-called residual oil zones may match the 15 billion to 30 billion barrels contained in shale rock. In recent years, new drilling techniques - including hydraulic fracturing and horizontal drilling - have allowed energy companies to extract oil and gas from these rocks. This has driven a 32 percent increase in oil production since 2008. 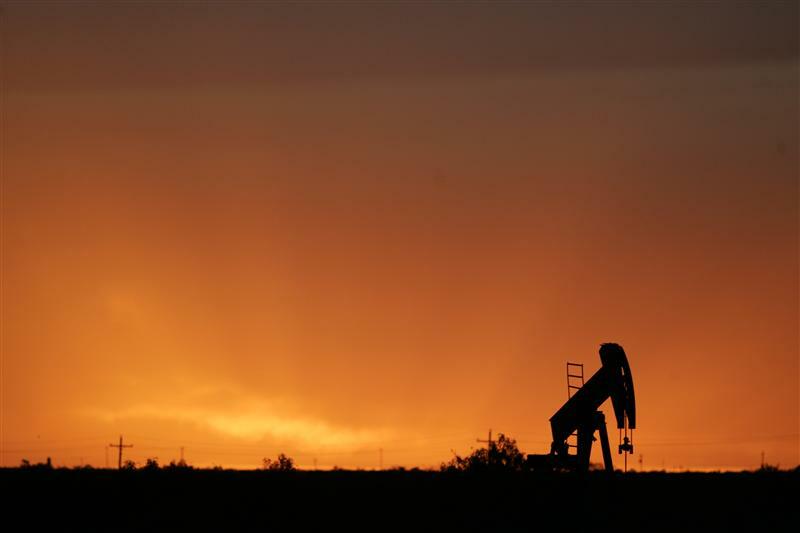 U.S. oil production is running at around 6.5 million barrels a day, according to the Energy Information Administration, its highest level since 1994. CERA believes that residual oil zones could eventually boost U.S. production by between 2 million and 3 million barrels a day.